I better get +5Xp points for thinking to ask a neighbor what items on my grocery list for this week’s Shepherd’s Pie meal she might have! “Cooking with Kyle” should be updated twice this week. One post focused on the planning and preparation of the Shepherd’s Pie recipe I found. The other, the re-featuring of the scrumptious Protein Balls I made Tuesday. 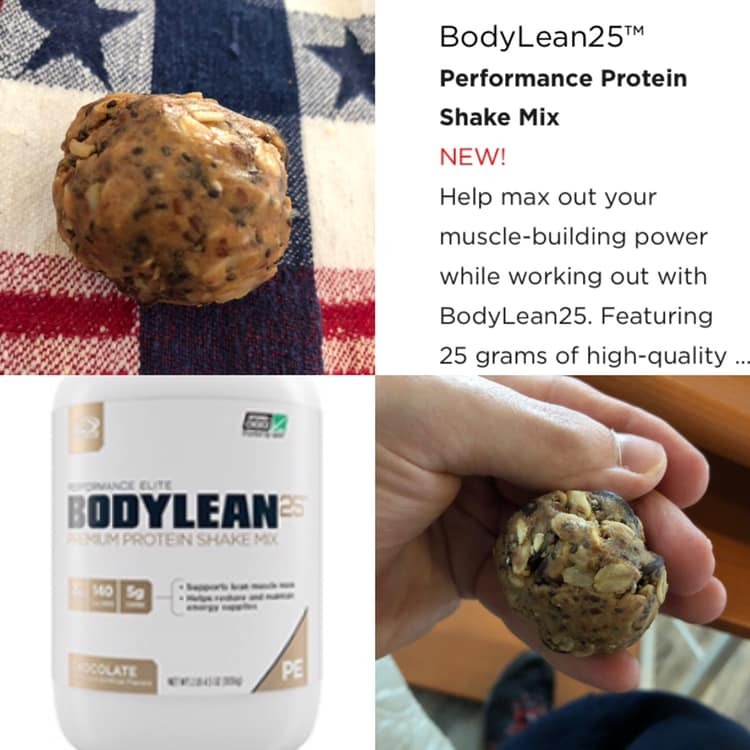 The dozen or so balls in the practice batch I made did not contain the newer BODYLEAN25 available at www.IBKNutrition.com! I ate the last of them on Saturday! The feedback I’ve gotten sharing my Protein Balls is very gratifying! “Delicious!” “Very Yummy!” The list goes on and on. OH! ALSO! Saturday morning I did go fishing at the local club pond and reeled in 4 very nice 16-19” trout! Sticking to the plan is everything anymore so prepping and perfecting my freshwater fish game will have to wait a week to 10 days! NOTE: I see the imperfect text edits that seem out of character (bad formatting), I’m still getting used to the updated platform! Thanks for your understanding!